Fast Dry Time, and why it’s important to you. Indoor Environment Services (IES) stays one step above others in the industry by providing the latest equipment. With all variables in place, we can have carpet and upholstery dry to the touch in approximately 1 – 2 hours. Fast drying lessens the chance of browning in upholstery, re-wicking of spots in carpet and increases customer satisfaction. We offer fast dry carpet cleaning on all of our jobs. Contact our office at 301-855-3573 for more information regarding our fast dry carpet cleaning. Below you will see some images of Indoor Environmental Services’ residential job sites. In all these locations we were able to return the carpet to a dry state in a minimal amount of time. Pictured above is Indoor Environmental Services Fast drying uphostery in Southern Baltimore. 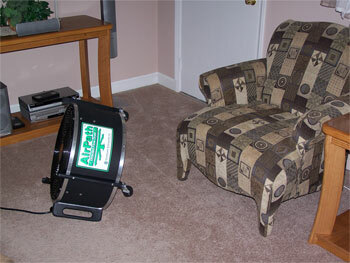 Drying upholstery quickly will greatly minimize the chances of browning. Fast dry carpet cleaning Southern Baltimore. Pictured above is a home in Southern Baltimore in which our industrial fans are being used to dry carpet after a professional cleaning by Indoor Environmental Services. 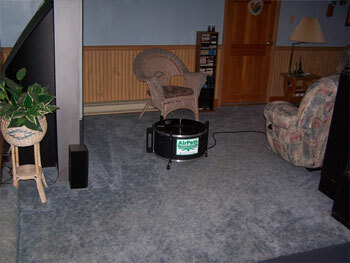 Pictured above is another example of Fast dry carpet cleaning Southern Baltimore. 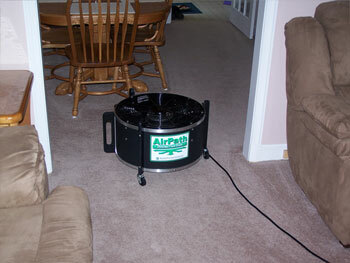 This is a standard used on all of our carpet cleaning and upholstery cleaning jobs. Indoor Environmental Services consistently provides high quality service to all of our customers.